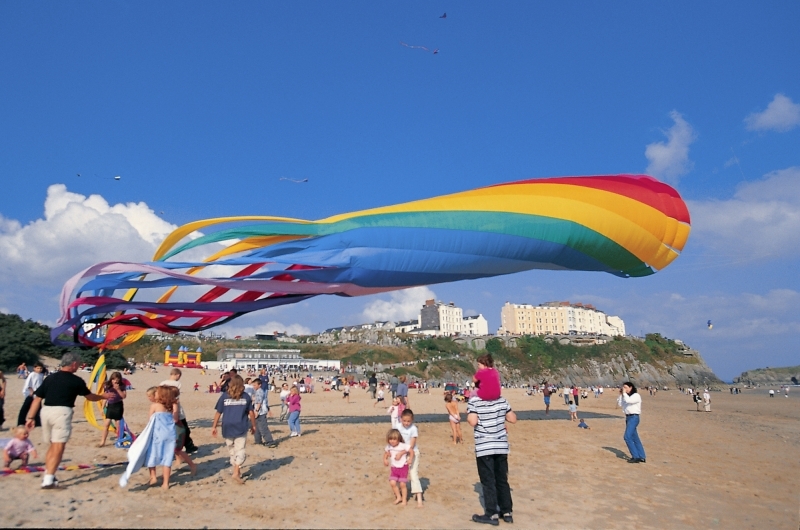 Known across the world for its legendary coastal scenery, protected by Britain’s only coastal National Park, Pembrokeshire is the perfect holiday destination. Golden sands are backed by towering cliffs teeming with wildlife and are just as beautiful in summer as they are in winter. 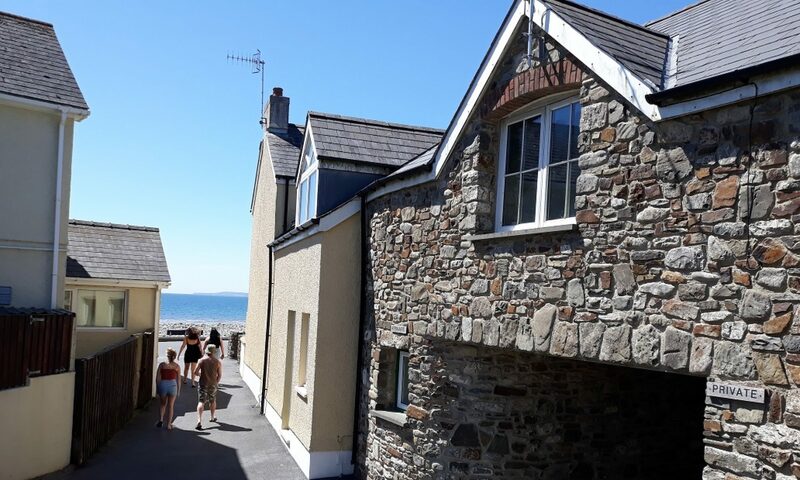 Amroth is located on the south coast of Pembrokeshire 7 miles east of Tenby and at the start of the world renowned 186 mile Pembrokeshire Coast Path. The village has a good selection of pubs, cafes and shops. 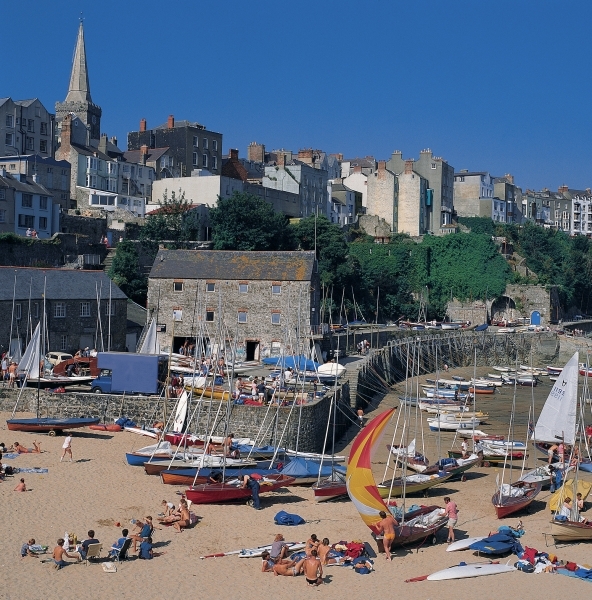 The beautiful sandy beach stretches the whole length of the village and is safe for swimming. Nearby is the National Trust’s Colby Woodland Gardens. The gardens are a must for visitors, particularly during Spring and Autumn. 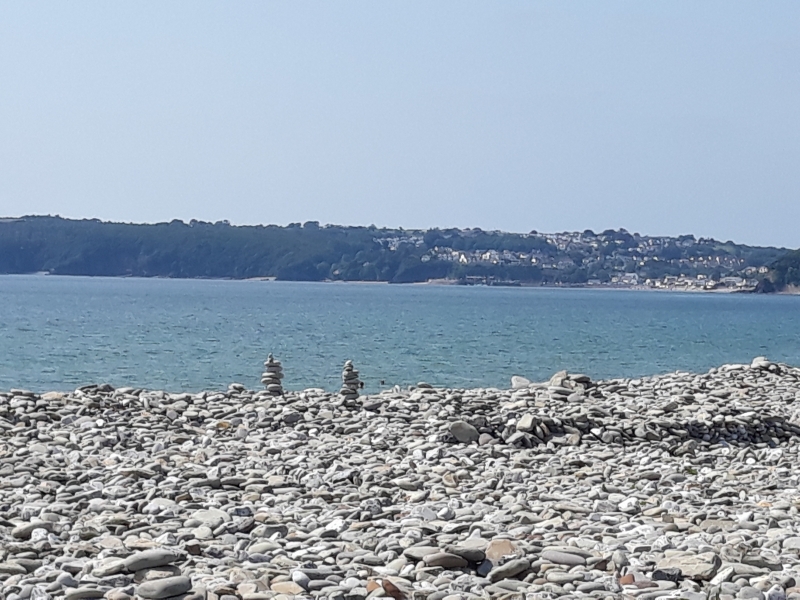 From this wonderful seaside location you can discover all Pembrokeshire and Carmarthenshire have to offer and with such an array of attractions you will be spoilt for choice. A perfect location for all year round holidays. 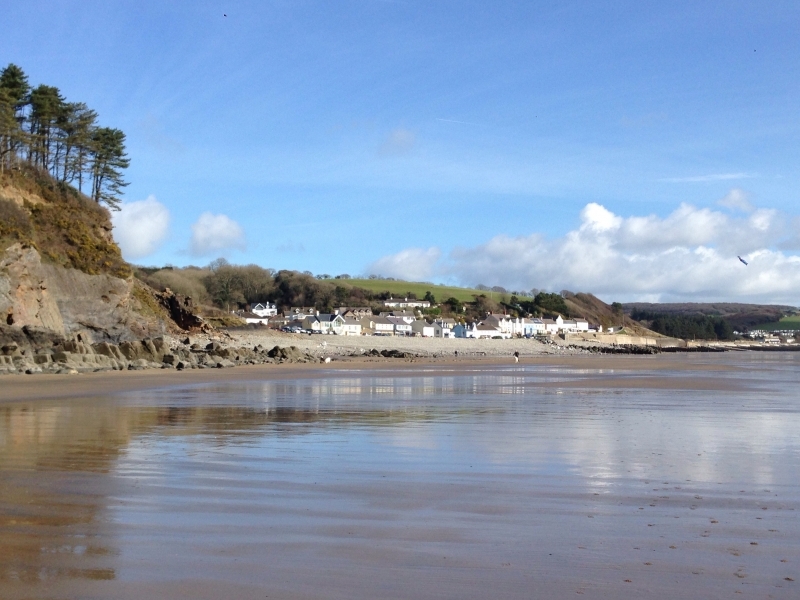 Wiseman’s Bridge is a tiny seaside hamlet with a rocky beach in between Saundersfoot and Amroth. 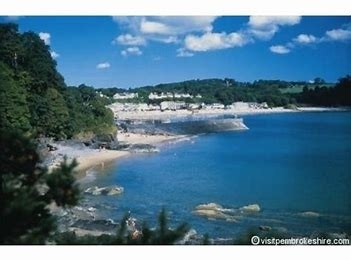 It is linked to Saundersfoot by a series of three tunnels through which a narrow gauge railway once travelled carrying coal from the local mines to Saundersfoot Harbour. The old railway line or dramway heads up the wooded valley to the Stepaside Iron works, now a historic ruin. 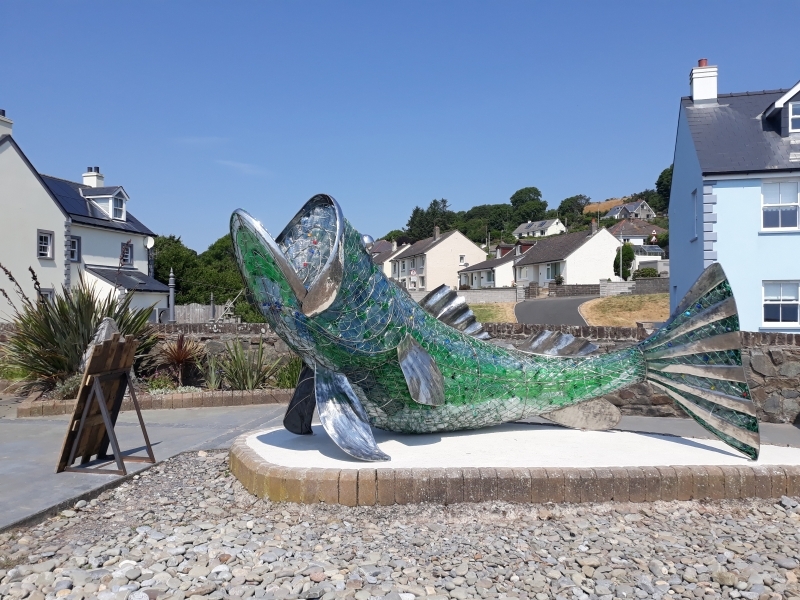 The dramway has recently been resurfaced and makes an ideal off road cycle for children all the way into Saundersfoot – its surface is also suitable for wheelchairs. The valley through which it runs is called, appropriately, Pleasant Valley. 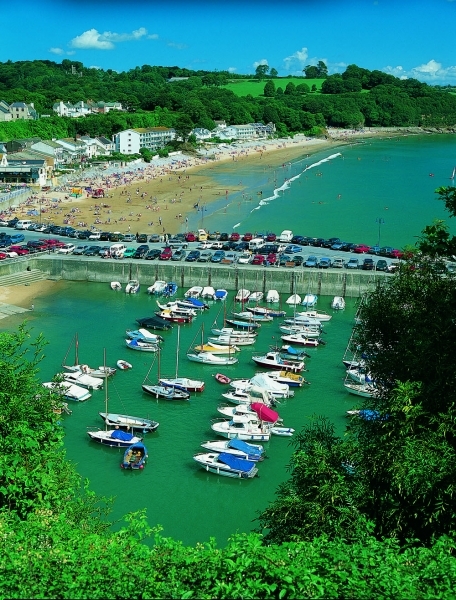 Saundersfoot is a small seaside resort in between Tenby and Amroth. 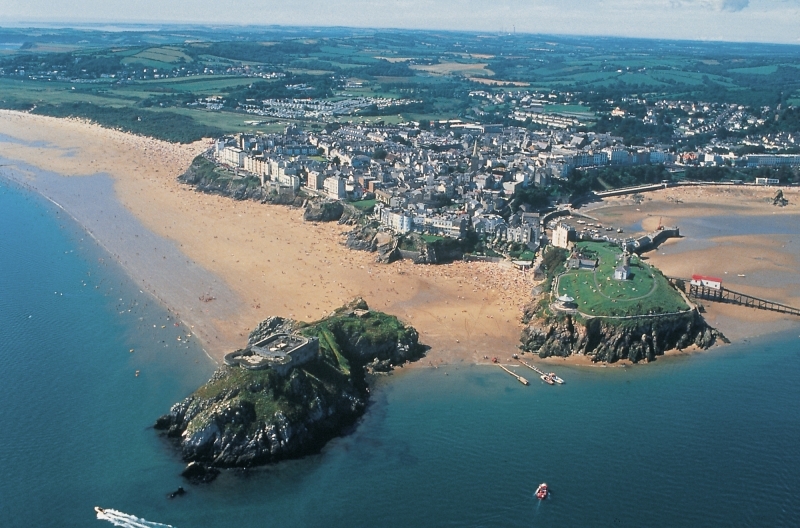 It’s much more compact than Tenby and has a charm and character of its own. 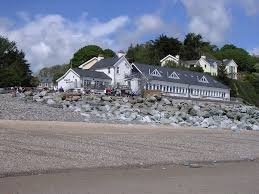 In many respects Saundersfoot is a much more accessible seaside resort. 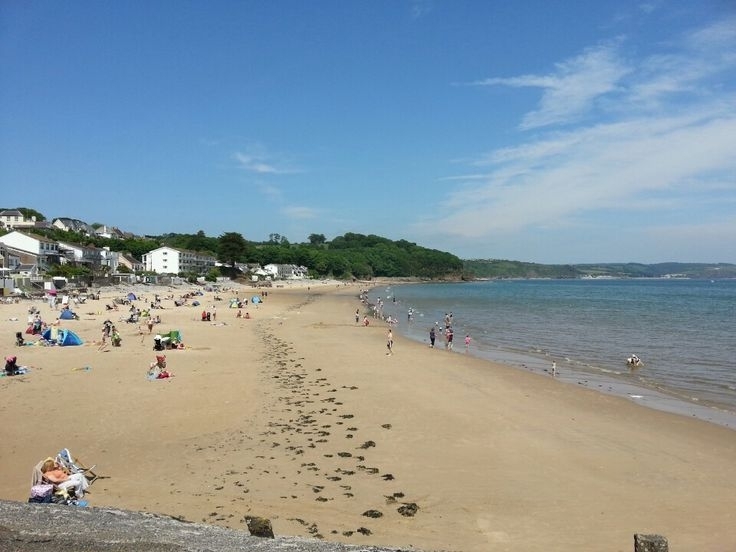 Saundersfoot beach is wide, sandy and has a blue flag. 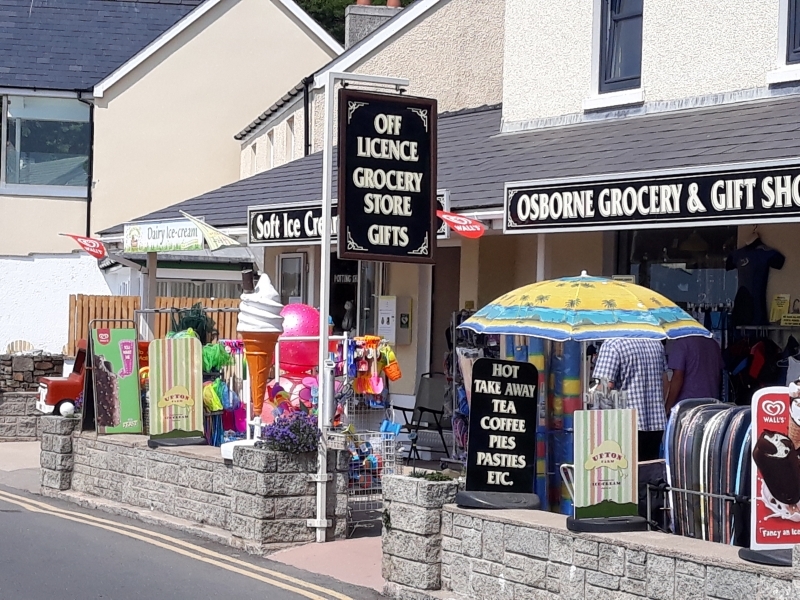 There are plenty of places to eat and drink around the harbour and there’s ample parking near the beach both on the harbour side and in the Pembrokeshire Coast National Park run car park behind the shops. 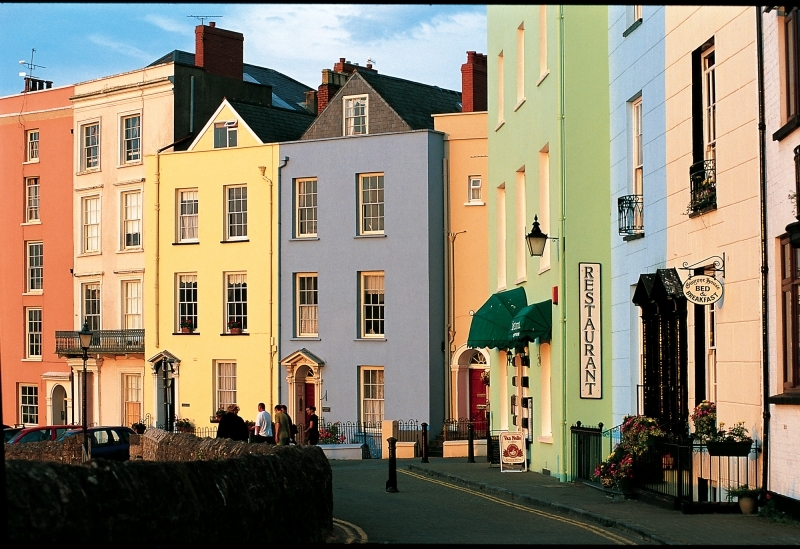 Tenby is probably the most iconic seaside town in Wales, rivalling places like Mevagissey and Polperro for quaintness and charm. It was awarded a Silver award for the best UK coastal resort at the British Travel awards in 2016, as voted for by the public. 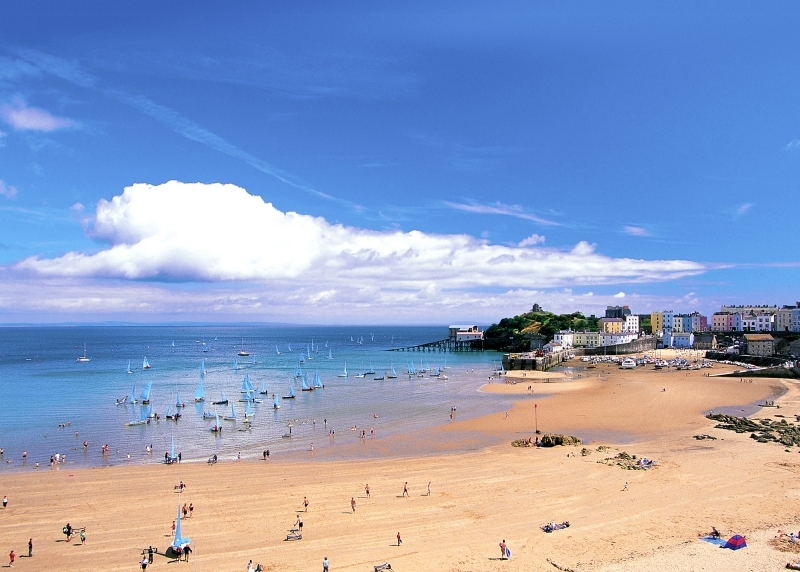 Tenby has three great beaches; north, south and castle, each with its own character. 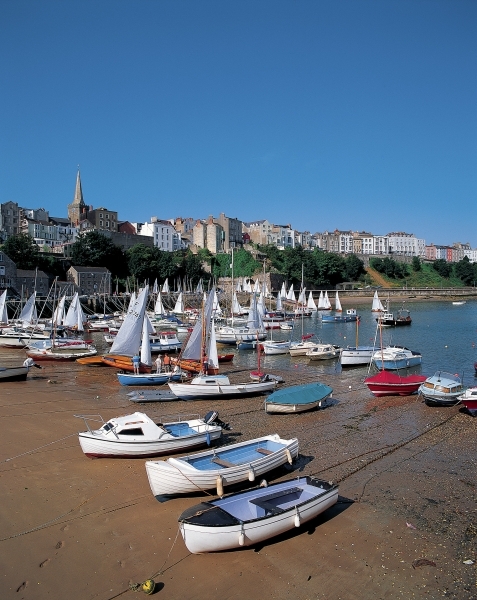 Tenby harbour has a thriving boating and fishing community as well as the departure point for the Caldey island boats and also the fishing and pleasure trips. 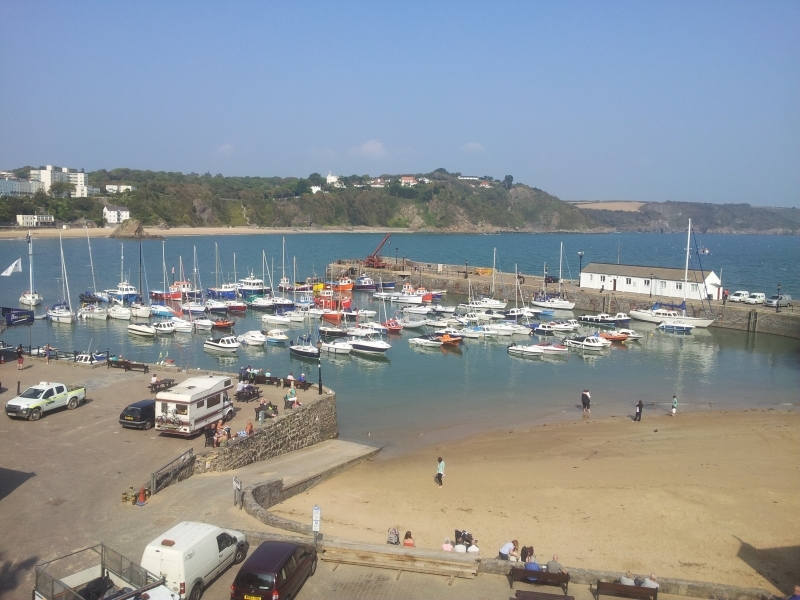 Food and Drink – You’re spoilt for choice in Tenby. You won’t find chain restaurants but what you will find is quality places to eat whatever your budget.